Enigmatic Lieutenant Shane "Scarecrow" Schofield is back! An old Soviet weapons installation in the Arctic has fallen into disrepair. Known as Dragon Island, the facility is home to a next-generation weapon with the potential to unleash a destructive force upon the world that was developed during the Cold War and subsequently forgotten. When a terrorist organisation known as the Army of Thieves takes control of the fortified island and activates the weapon, a small band of Marines and civilians is sent in to stop them as they are the only unit close enough to Dragon Island to be able to reach the installation in time. Total Running Time: 11 hours, 40 Minutes. 10 CDs. 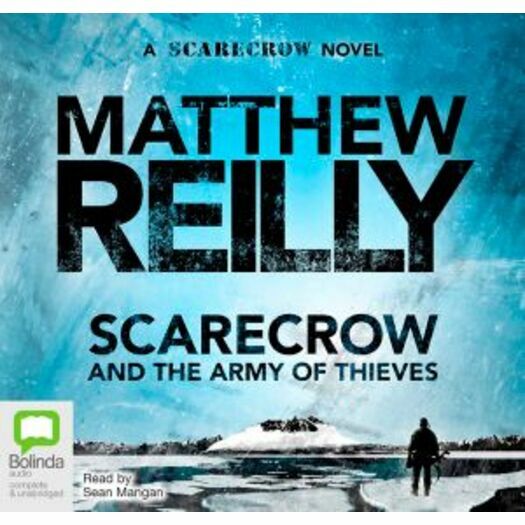 Matthew Reilly is the international bestselling author of eight novels : The 6 Sacred Stones, 7 Deadly Wonders, Ice Station, Temple, Contest, Area 7, Scarecrow, and the children's book Hover Car Racer, and one novella, Hell Island. His books are published in more than eighteen languages in twenty countries, and he has sold more than 3.5 million copies worldwide.